Time flies! It's been a long time since that first feature on KOH Red. 2. The KOH Holiday Spirits collection includes KOH Red. 3. 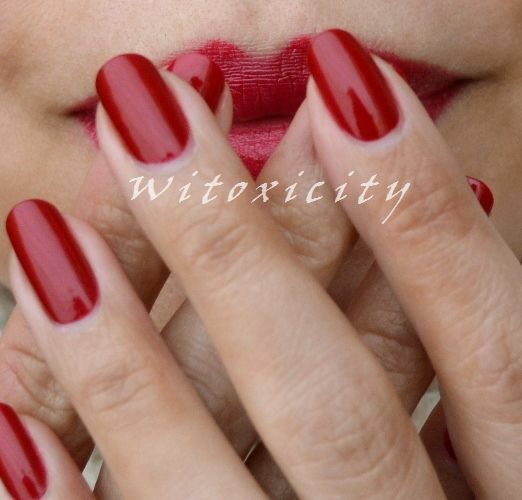 The lipstick and nail polish set called KOH Red Seduction. 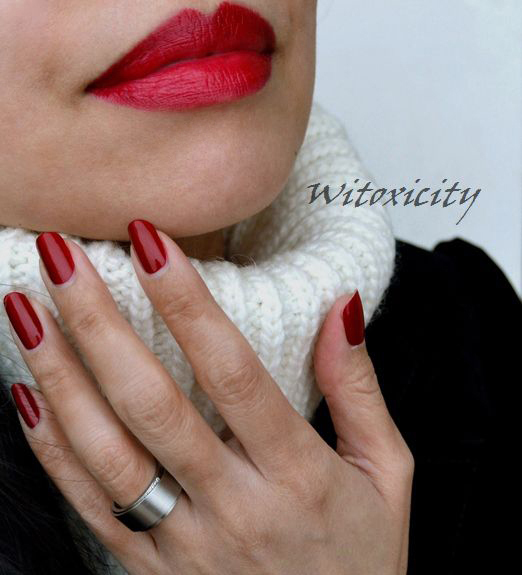 The KOH Red nail polish is a straightforward classic red that you can never ever go wrong with. Although it's nothing fancy (no shimmer, no glitter, no flakies), it's one of those shades that can make a heck of a lot of difference to any look with just a quick lick of paint. Here, I've used my own bottle of Red that I got during a promotion that KOH had two years ago in my first ever visit to the KOH Experience Shop in Amsterdam. It's a jelly-crème and the polish from this old bottle still went on very smoothly, even after all this time. I didn't need to use a thinner either. This is a polish that would be opaque in one coat but I would advise doing two to get a richer effect. 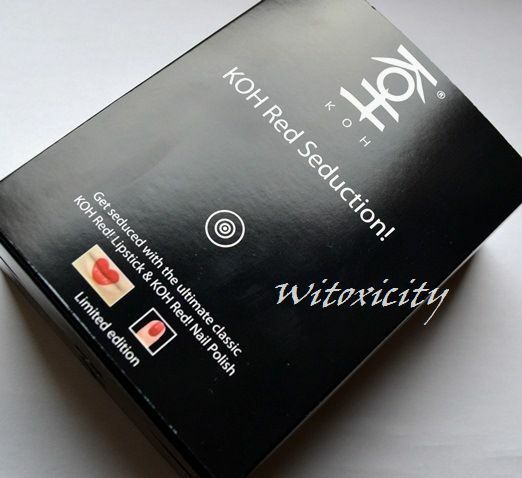 You should know by now that KOH loves box/giftsets and KOH Red Seduction is precisely that. This boxset has been in stores for many months, so this isn't a new release. The Red Seduction boxset is provided by KOH. 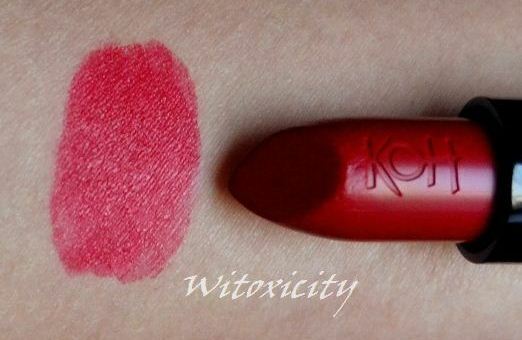 The boxset consists of two main items - KOH Red Lipstick and KOH Red nail polish - and a sleek black retractable lip brush. I'm sure the black nail polish bottle with a KOH charm and an orchid flower on top haven't escaped your notice. 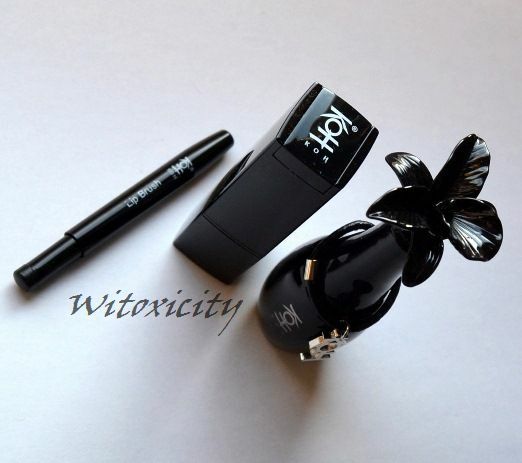 It's really the standard KOH nail polish bottle, only opaque black and with embellishment. 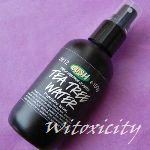 KOH had also issued these limited edition bottles for its Calcium Nail Whitener. The unusual bottle is a pretty thing for sure but I see it as purely ornamental. Of course, you can polish your nails with it but you do need to remove the KOH charm first and the orchid does get in the way when you hold the bottle cap during polishing. Well, in any case, it's a great adornment for your vanity table. The colours for the lipstick and the nail polish are similar (obviously!) but when swatched and worn on the lips, the KOH Red lipstick reveals some blue tones. The lipstick is very pigmented. I do need to use a lipbalm as a base though. 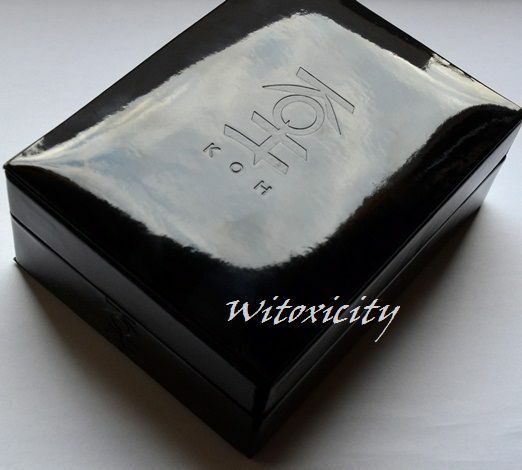 The KOH Red Seduction boxset retails for €24.95 but if you happen to be in the neighbourhood, there may be special deals to be had in the KOH Experience Shop in Amsterdam and also the one in Eindhoven (there are never newsletters on such special offers). This item is currently still available in the KOH online shop. I love red nails and lips, so this boxset is perfect and very beautiful!! The last picture is really cool. The color is wonderful, beautiful and perfect! A Cor é maravilhosa, linda e perfeita! Anne você é muito bonita! The bottle looks so stylish, it's unique. Calling this box Red Seduction is very well chosen. Such a luxurious box/giftset and what a beautiful shade. It suits you very well, my dear. I think the KOH logo on the lipstick looks cool, eventually it will disapper though, but what to do. Gotta love the orchid bottle too. I already had a peek at your other website, but now I know what KOH Red Seduction is. It is actually more than a beautiful bottle on your vanity table.